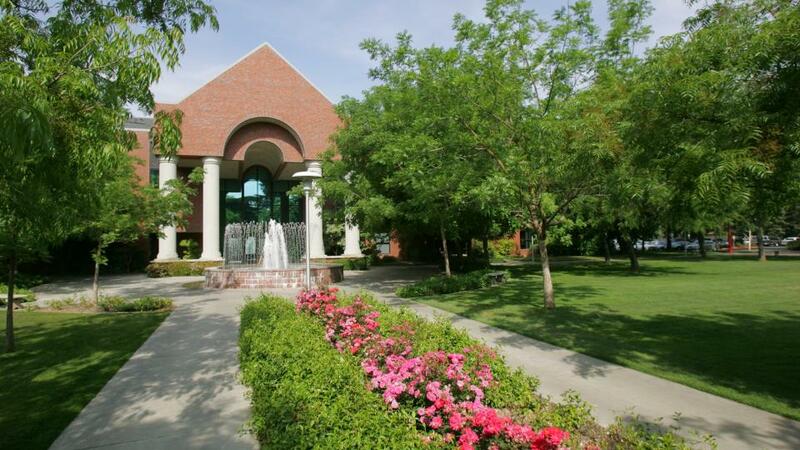 Fresno Pacific University is the Mennonite Brethren institution located in Fresno, Calif. with regional campuses in Merced, North Fresno, Visalia and Bakersfield. Fall 2018 enrollment set a record at Fresno Pacific University, the Mennonite Brethren institution in Fresno, California. In all, 4,212 students are studying at the main campus in Southeast Fresno, one of the regional campuses in Merced, North Fresno Visalia and Bakersfield or online, according to September estimates. The biggest change from 2017-2018 was in bachelor’s degree completion programs, which grew to 1,808 students, up from 1,578. The number of students seeking master’s degrees and credentials increased to 1,386 from 1,298. This includes enrollment at Fresno Pacific Biblical Seminary, which stayed even at 170. A large group of graduates in 2018 caused enrollment among traditional undergraduates, those just out of high school, to drop to 1,018 from 1,053. But this fall’s increase in freshman to 237 from 205 is one highlight of the new school year. Teacher education led enrollment growth among graduate students. The increase in degree completion continues a trend that has added 500 new students in two years, according to Jon Endicott, vice president for enrollment management and student services. Strong points include online programs, which rose to 393 students from 301, the North Fresno and Visalia campuses and the social work program, which recently received national accreditation. Partnerships with area community colleges and a two-year graduation guarantee draw degree completion students. Fundamental to these students’ success are the nature of the classes themselves, which meet one night a week and allow groups of students, known as “cohorts,” to progress toward their degree together. Degree completion students are adults who have attended community colleges or other universities without completing a bachelor’s degree. Most mix their education with work and family responsibilities. “Once you get into a cohort, you have a family—there is a deep sense of commitment that goes beyond what happens in class,” Endicott says. As the only accredited Christian university founded in the Central Valley, FPU remains committed to solid academic preparation and a strong ethical foundation that opens possibilities for every student. FPU has the Central Valley’s highest graduation rates, with 53 percent of students earning their bachelor’s degree in four years. In addition, 56 percent of FPU students come from families who earn $40,000 or less annually, 49 percent are the first in their families to attend college or university and 45 percent identify as Latinx, making FPU a Hispanic-Serving Institution. First-generation and Hispanic students graduate at the same rate as students overall. Fresno Pacific University is California's Central Valley’s only accredited Christian university, connecting every student’s untapped potential with unlimited opportunity for professional, personal and ethical growth. Nonprofit and independent, FPU offers more than 100 areas of study to about 4,000 traditional undergraduate, adult degree completion, graduate and seminary students at the main campus in Southeast Fresno and throughout the Valley at regional campuses in North Fresno, Visalia, Bakersfield and Merced as well as online.